Rare's Sea of Thieves allows friends to team up for legendary pirate adventure. 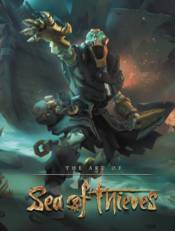 Now, Dark Horse offers an unprecedented look at the fantastic ships, characters, and loot with The Art of Sea of Thieves! Featuring hundreds of pieces of art with commentary from the game's creators, fans everywhere will love this gorgeous volume!